Year after year one of the most popular vape juice flavors is Blue Raspberry. Whether it is vape juice, candy, scents etc.. Blue Raspberry is always one of the most popular in each of these categories. Let me you tell you this. E Cigarette Empire has a plethora of Blue Raspberry flavored vape juice and every single one of them are extremely popular. Whether it is a straight up blue raspberry flavor or a blue raspberry variation it does not matter because vapers across the world absolutely love anything blue raspberry! Does that means that it is only right that E Cigarette Empire makes a Best Blue Raspberry Vape Juice Flavors 2018 blog list? You got that right! The vape juices featured in this blog list are currently the most popular Blue Raspberry flavors going into 2018. Remember that anything you see featured in this blog list is carried here in the E Cigarette Empire warehouse and is currently on our shelves! So if you see something that you like feel free to grab a bottle from our website! Drip that cotton, fill your tank, grab a water, and kick off your shoes because you are in for a ride my fellow vapers! Welcome to the Best Blue Raspberry Vape Juice Flavors 2018 blog list! Blue Tiger by Cyber Liquids 100ML is not only a perfectly executed blue raspberry flavored e juice but it is also a delicious blue raspberry variation. With the flavor profile of a blue raspberry slushie with icy menthol added to it, you really cannot go wrong! This premium e juice flavor brings forth a burst of flavor while maintaining a refreshing throat hit. One thing that Cyber Liquids executed perfectly about Blue Tiger is that they made sure the flavor was everlasting. Even if you vape this blue raspberry slushie e juice flavor all day, the flavor will never fade! Which makes it an extremely popular all day vape! Cyber Liquids is a newer e juice brand that we carry here at E Cigarette Empire and the deal sealer was Blue Tiger. After our guys here at the Empire tasted Blue Tiger, the decision was pretty clear cut on whether or not we wanted to carry their e juice flavors here. This company executes their desired flavor profiles extremely well and it shows with Blue Tiger. Not only can you find Blue Tiger by Cyber Liquids here but you can also check out Cyber Liquids under our e juice brands page to see the rest of the flavors that we carry by them! When we here at E Cigarette Empire first came across Blue Razz Cheesecake by Bizarre Blue our initial thought was, “What?..”. Soon after our tanks were filled up to the brim, and our cottons were soaked with this e juice flavor and quite honestly we just could not stop vaping this Bizarre Blue flavor! When we first discussed this awesome blog post the first idea blurted out by the Team was Blue Razz Cheesecake by Bizarre Blue. Blue Razz Cheesecake takes two completely opposite yet delicious flavors, and makes them complement each other in some weird way. We must say that the mixologists over at Bizarre Blue did an extravagant job at making these flavors blend. I personally have never tasted a premium vape juice flavor so delicious yet so unique! From the second we got Blue Razz Cheesecake by Bizarre Blue on our shelves, it instantly started flying right back off of them. It is one of the most sought after blue raspberry flavors here at the Empire, and one of the most popular flavors overall! We do have a Bizarre Blue e juice brands page on our website so if you are interested, you can head on over and see what other products that we carry from this wonderful vape juice company. Another e juice flavor that instantly popped into mind when we were discussing the Best Blue Raspberry Vape Juice Flavors 2018 blog list was.. This delectable 100ML bottle of e juice was released right at the end of 2017 and came into 2018 full speed ahead. Candy Pop did a wonderful job at inventing, blending, mixing, and bottling this flavor which the popularity really backs it. 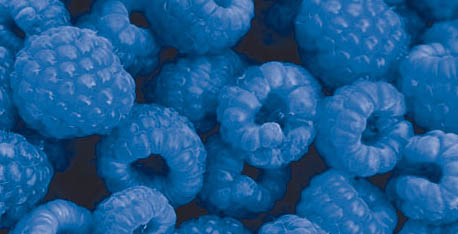 Blue Raspberry Hard Candy has the flavor profile of exactly what it spells out. A delicious hard piece of candy that has been infused with wonderful blue raspberry flavoring that will have your mouth watering like a waterfall. From the second I first tasted this e juice flavor I knew that it was going to be one of the hottest flavors on the scene and I was right. Blue Raspberry Hard Candy along with any other Candy Pop flavor is very popular at E Cigarette Empire and almost all other Online Vape Retail Stores. We highly suggest you head on over to our Candy Pop e juice brands page to see what other awesome flavors that we carry from them! You are bound to fall in love, find an all day vape, and possibly never switch flavors again! 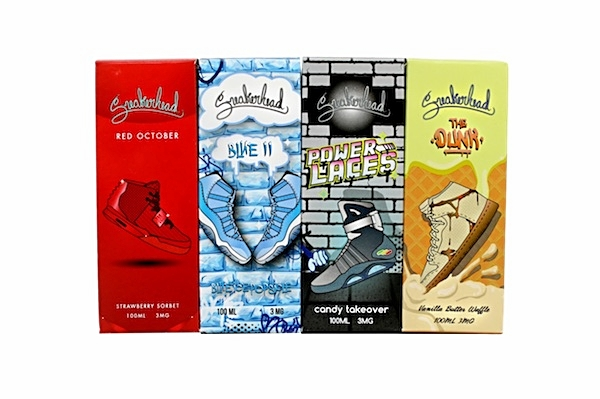 Blue 11 by Sneakerhead takes blue raspberry and mixes it with the urban “sneakerhead” culture. Based off a very popular shoe in the sneaker culture, Blue 11 has the flavor profile of a blue raspberry popsicle that has been iced over with cool menthol. From inhale to exhale your taste buds will be overwhelmed with delectable blue raspberry flavoring with a smooth refreshing menthol undertone. This premium vape juice flavor never fades just like the sneakerhead culture. It only grows stronger over time. One thing that makes Blue 11 stand out from the rest of the blue raspberry flavors in the scene is the throat hit. It is extremely smooth and subtle with no burning sensations whatsoever. The throat hit of this flavor is almost undetectable. The only reason why you can feel a throat hit is because of the extremely refreshing ice menthol. We really wanted to finish strong with the Best Blue Raspberry Vape Juice Flavors 2018 blog list so we thought, “What is a better way to end this blog list then with The Brazz by Dr. Shugar Chitz?”. The Brazz is one of the most loved flavors here at E Cigarette Empire by both customers and employees. Let’s just say our inventory manager, Jakob, refuses to put any e liquid inside of his tank unless it is The Brazz or The Brazz Chilled. Rumours have it, the last time someone stepped foot into his office there were candles lit along with a “The Brazz” shrine. Pretty creepy right? Well.. The Brazz is one of the world’s most known Blue Raspberry Vape Juice flavors and is also one of the most popular. It has been around a little longer than the rest of the blue raspberry e juices on this blog list but going into 2018, it is still one of the most sought after flavors! If this blue raspberry candy flavor profile is intriguing to you then make sure you head on over to our Dr. Shugar Chitz e juice brands page and see all of the other wonderful products that we carry by this very reputable company!